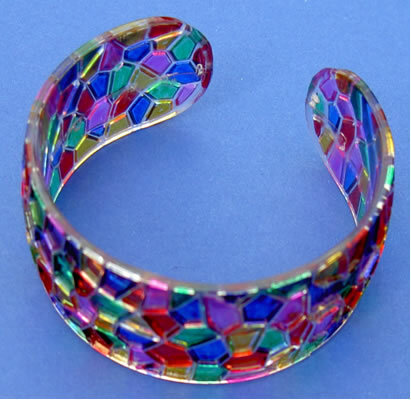 These bangles have a marvellous mosaic design ready to be decorated and worn. These can either be coloured in with special pens or paints and look stunning. They have a 54mm diameter and will fit most people. Even the bigger kids love these.